You can buy a Compact Disk in a 6-page album from our label ATS-Records at selected stores, or at the ATS-Records Online-Shop. Also available as digital album, or individual tracks in mp3 or stream from 30 digital distribution partners, like Apple Music and Spotify. I have signed up with SoundCloud and Bandcamp (mp3, AIFF formats and more) as well, two other popular music services for “audiophiles and nerds.” Now I believe that we have covered pretty much the entire planet. We don’t keep a Cent. So where goes the money? Your €15.00 make €15.00 when you buy the CD direct, say at a concert, from one of us; or you have bought it online at our Webshop and paid for shipping. If you went to a record store and paid €15.00, both the store and the retailer would have kept a percentage. This means only between €4.00 and €6.00 came through. ATS-Records and Amazon give us more, between €7.00 and €10.00. Without a physical body, music costs less, say around €9.00 per album, or €1.00 per individual track, and the music services keep between 10 – 50%. 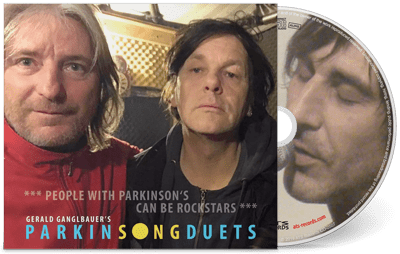 Credit card sales from this website arrive at Parkinsong’s PayPal business account and €15.00 for each CD (as you paid for shipping) will be transferred into the bank account of Parkinsonline. Sales and commission from ATS-Records as well as their partners will be credited directly into the bank account of Parkinsonline. Cash goes also straight into the bank account of Parkinsonline, where your donations are being held in trust.